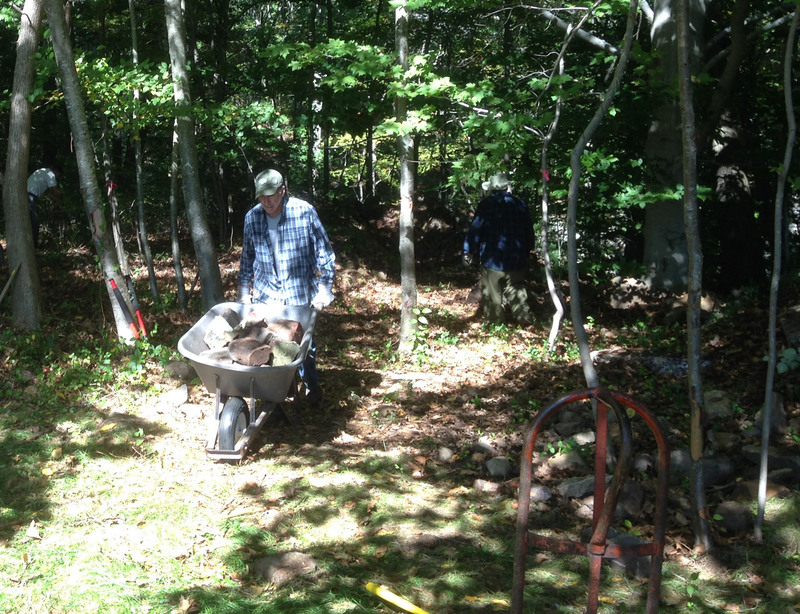 Branford Land Trust volunteers have been busy on several preserves in the last three months. 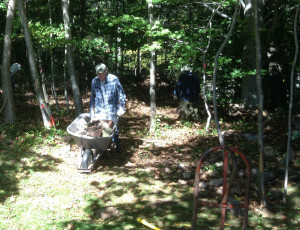 On August 16, Bob Baker, Fred Biamonte, Paul, Deb and Jonathan Bodner, Bill Horne, Mike McGuinness, Jane Ellen McSharry and Harry Merrick worked at Jennifer Heights, a highly visible small preserve on Short Beach Road across from the entrance to Harbor Village. The loop trail was cleared except for a large fallen tree, and shrubs were cut back and accumulated brush and dead branches removed from along the tract’s long road frontage. Special appreciation goes to the Bodners, who worked into the afternoon to truck brush off the site. People driving along Short Beach Road now see a much more attractive face of this special little BLT preserve. 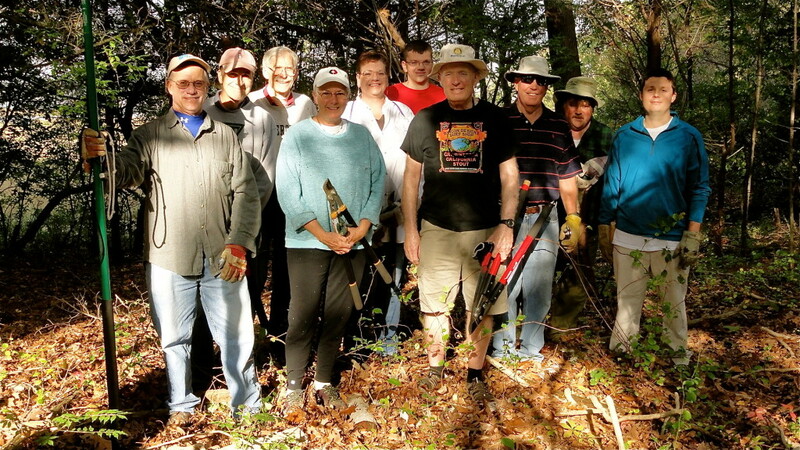 On September 27, Bob Baker, Amos Barnes, Fred Biamonte, Paul, Deb and Jonathan Bodner, Bill Horne, Bill Leece, Mike McGuinness, Jane Ellen McSharry and Matt Reed worked at the east end of the Short Beach Preserve at the rear of 171 Short Beach Rd. (the Air, Inc. property). 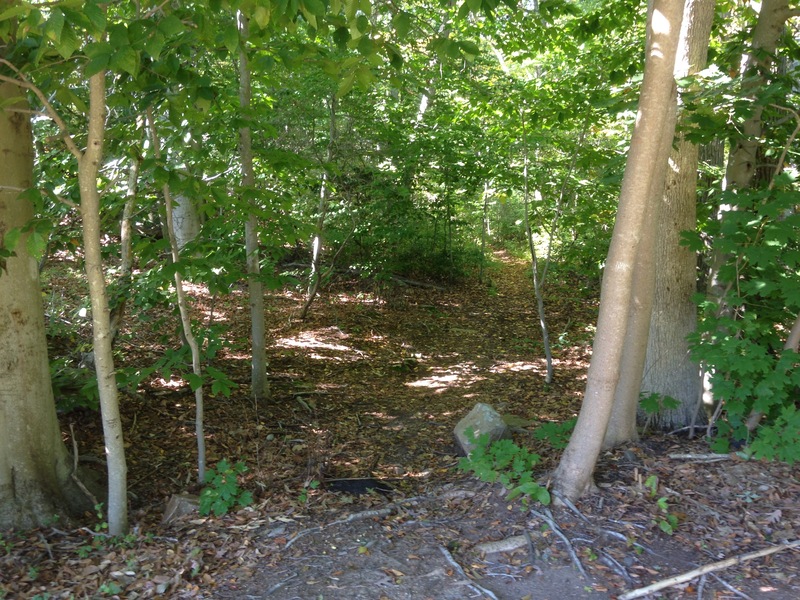 BLT has a pedestrian right-of-way from the road to the Preserve along the side of the parking lot, and a new trail was created from the rear of the Air, Inc. property that connects with the existing green trail near Altmannberger’s Pond. In addition, two loads of old asphalt and concrete chunks and scrap metal that we acquired along with the Preserve were removed, as was a truckload of invasive multiflora rose, bittersweet, and burning bush. Future work parties will continue cleaning the area, but the trail is now open for use. … and after the work party. Sybil Creek Preserve work party: left to right, Matt Reed, Bill Leece, Bill Horne, Kitty Ing, Deb Bodner, Jonathan Bodner, Mike Ball, Stu Tillinghast, Paul Bodner, Logan Reed; not shown, Alpha Coiro, Pete Craig. On October 18, Rotarians Mike Ball, Alpha Coiro, Logan Reed and Stu Tillinghast joined BLT members Paul, Deb and Jonathan Bodner, Pete Craig, Bill Horne, Kitty Ing, Bill Leece and Matt Reed at the Sybil Creek property next to the Bruce & Johnson marina. 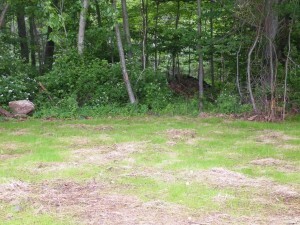 More progress was made in freeing the trees from massive amounts of Asiatic Bittersweet and other vines and removing other invasive plants. 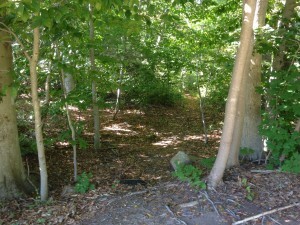 In addition, a path was cleared into the property that avoids clambering along the edge of the marsh. On November 15, we will be working at the Zielinski Farm (186 Brushy Plain Road). 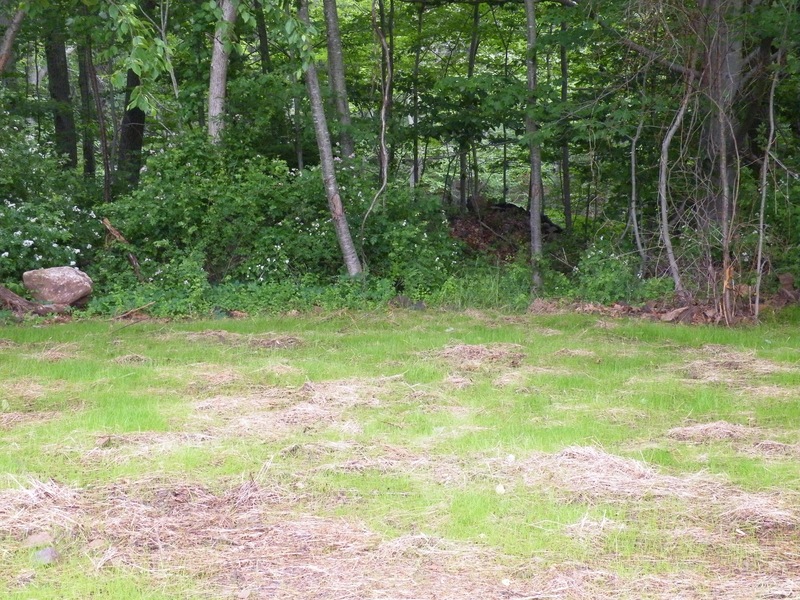 BLT’s newest acquisition is a 13.5-acre farm with a large field that is mowed by the Page’s dairy farm in North Branford. 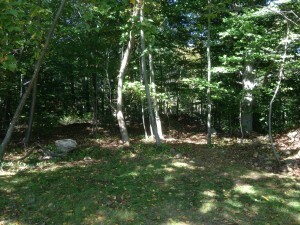 We will be clearing woody shrubs from the edges of the field. Meet at 9:00 am. 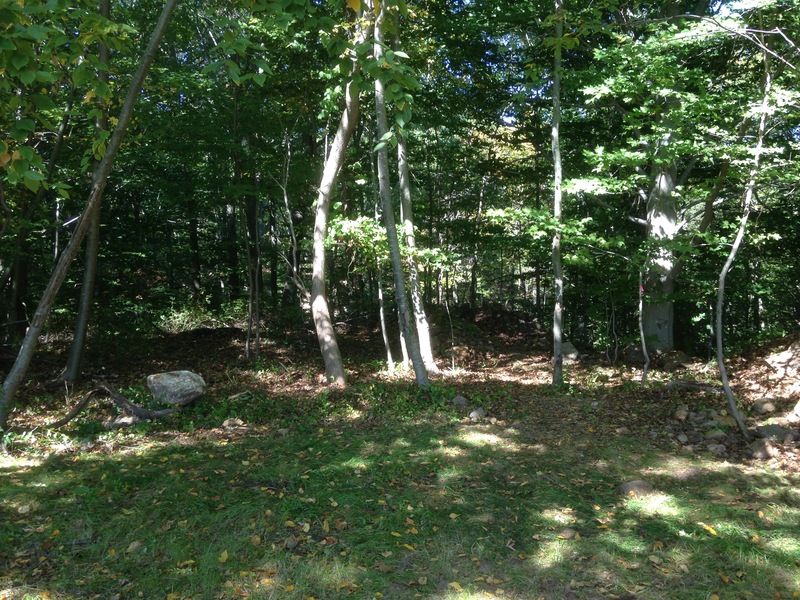 Bring loppers, small handsaws, sturdy hand clippers, and work gloves. Watch the web site calendar for information about where to park. Call Bill Horne (203-488-6146) for more information. The work parties are usually held on the third Saturdays of each month. They offer a chance to get to know some of the BLT properties and to spend a little time with some great people. If you have school age kids, this is a chance for them to pick up some community service credits. If you’d like to receive information about the monthly work parties, please email Bill Horne (billhorne48@yahoo.com) and ask to be added to the list of people receiving reminder emails.